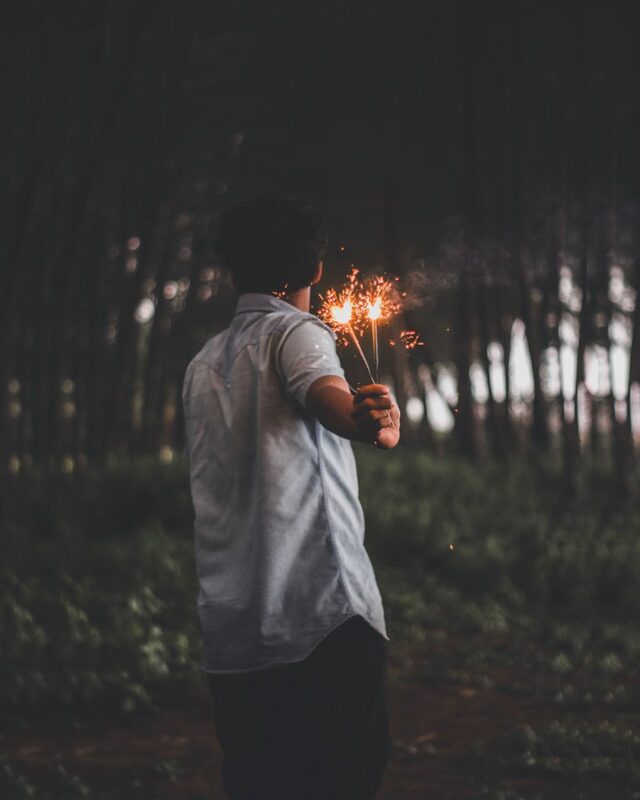 …I will embrace the night. I will kick off my shoes and open the windows wide. I will rejoice in the wind and dance under the stars. I will listen to the crickets sing, close my eyes and silently cheer for the approaching thunderstorm in the west as the best part of my day begins here, right now. And I will stay up so late that my yawned “good morning” will actually mean “oh, look, it’s noon already” while I will once again realize with a lazy smile that during summer the days are indeed longer but shorter alike, because the nights are so very, very beautiful. And celebrating that with a thorough brunch on the weekend only feels right. Cut the chicken breasts in 2 or 4 pieces each. Cut off the stem of the pepperoni and using a blender mix it with the buttermilk the herbs, the garlic and the salt until creamy. Pour the marinade over the chicken in an airtight container and put it into the fridge for 12-24 hours. Toast the spices for the spicy maple syrup in a pan on medium heat for 1-2 minutes until their scent rises up, add them to the syrup, and set aside to infuse for 24 hours at room temperature. For the waffle dough mix the dry ingredients and whisk in the buttermilk, the egg, and the melted butter until you have a smooth batter. Cover the bowl and let it rest for about an hour at room temperature. Heat up your waffle iron and prepare the waffles according to its instructions. Shake off the excess marinade of the chicken, and dredge it in the wheat flour. Fill a pot with vegetable oil about as high as your little finger is long and put it on medium heat. Sprinkle a bit of flour into the oil to check if it’s good: when it sizzles and starts to turn golden and brown it is. Now add the chicken and fry in the oil for about 7 minutes on both sides. When it’s done let it drain on paper towels. 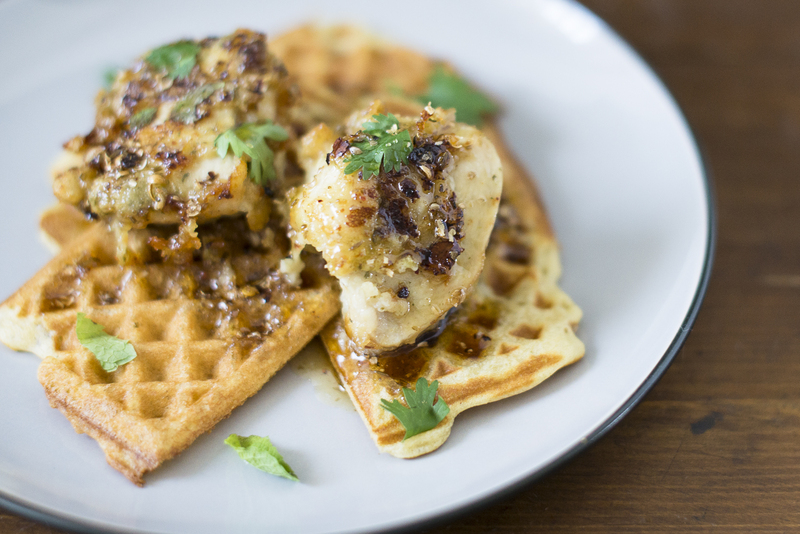 Serve the fried chicken on top of the waffles and drizzle it with the spicy maple syrup.